I have been going to Rome for 44 years, with visits in 1969, 1973, 1988, 1994, 1999 and 2013. Things have changed since my first visit. The country is bankrupt, and colorful Lire have been exchanged for dull Euros. An Argentine priest has finally replaced the Europeans at the Holy See. The equestrian statue of Marcus Aurelius in the Campidoglio has been moved inside and replaced with a copy. After Michelangelo's Pieta was attacked with a hammer 30 years ago, the statue was moved 30 feet back and covered with an ugly glass barrier. His Sistine ceiling and Last Judgment were gloriously restored by a Japanese TV station, but photography is now prohibited in the Chapel. Fig leafs were removed from the Apollo Belvedere and Laocoon in the Vatican Museum, but it's a two-hour wait to see them. An outside elevator now takes tourists to the top of Il Vittoriano, for great views of the city. The Pension Swisse above the Spanish Steps, where I have stayed every time, is now called the Hotel Swisse. 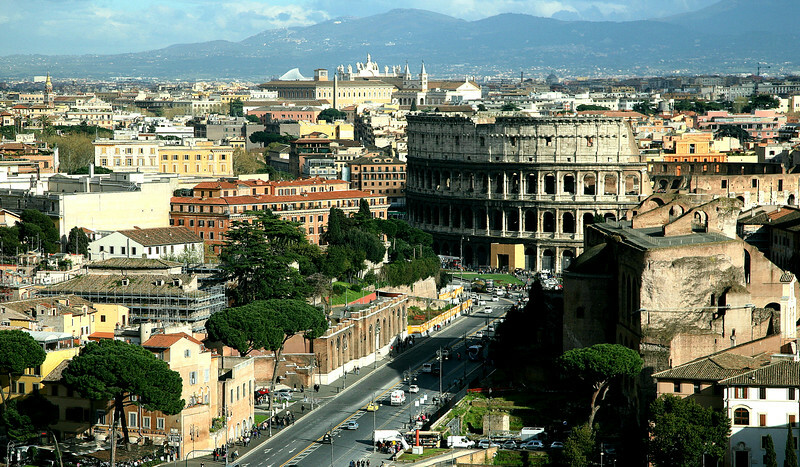 The Eternal City otherwise remains the same, however, a celebration or art, style, philosophy, history and religion. Michelangelo, Rafael, Caravaggio and Bernini, together with an army of anonymous ancient artists, have decorated one of the most beautiful cities in the world.